More than 170 islands comprise this archipelago, lying off mainland Washington at the juncture of the straits of Georgia and Juan de Fuca, and sheltered from the Pacific Ocean by the Olympic Peninsula and Vancouver Island. There are reputedly an additional 300 rocky “islands” at low tide. The islands were once part of a mountain range connecting Washington to Vancouver Island. Eighty-three islands are protected as part of the San Juan Wildlife Refuge, home to seabirds, seals and sea lions. About 90 Orca whales are year round residents of the area. The four islands served by the Washington State Ferry – Lopez, Orcas, San Juan, and Shaw are the usual destinations for bicycling (there are a number of bicycle rental services) and gentle sightseeing. To reach any of the other islands, about 40 of which are inhabited, you will need to arrange your own transportation. On the main islands, the farming and fishing communities have been joined by “urban refugees” including many artists, perhaps drawn by the natural beauty and solitude of these islands. During the summer months, the main islands receive as many visitors as they can accommodate, so be sure to book your stay in advance. Friday Harbor is the business center for the islands, its harbor is now teeming with commercial fishing boats and pleasure yachts. After completing a walk and shopping tour of the town, you’ll want to head for the whale overlook at Lime Kiln Park and then visit historic sites at American and English camps to relive island history. You’ll take another step back in time with a visit to historic Roche Harbor, once the home of a lime and cement company, where paths are paved with the bricks which lined the lime kilns. San Juan has an area of 55.3 square miles. Population is 7000. Toll Free: 888-378-3222Contemporary Native art featuring masks, ivory carvings , sculpture & basketry. (360) 378-2983Features original watercolors and jewelry designs, as well as screen printed art on clothes, cards, and prints. (360) 378-5929Offering a unique selection of sculptural glass and enamel pieces – tiles, tabletops, light sconces, clocks, ceramic dinnerware and teapots. (360) 378-5788Fine arts & crafts made by local San Juan Island artists. Toll Free: 888-378-2221 Contemporary and realistic bronze and metal artwork. (360) 378-1371Photography, gourd vessels and lamps by local artists. Toll Free: 888-367-5211Photography, fabric and bead art, wooden bowls, vases and sculptures from local San Juan Island artists. (360) 378-3060Sculpture, ceramics, glass, oil, acrylic, gouache, watercolor, pastel, and intaglio from Pacific Northwest artists. (360) 370-5050A nineteen-acre nature reserve displaying over 80 sculptures. Excellent bird-watching and nature trails. (360) 378-4710Museum specializing in the natural history of marine mammals, with a focus on the orcas currently living in the waters of the San Juan Islands. (360) 378-3949Features historic photographs & documents. The museum consists of the original farmhouse, the first county jail, a turn-of-the-century log cabin, barn, milk house, and carriage house. (360) 378-3210From locally produced events to world-class touring performers. Drama, comedies, musicals, dance and music. (360) 370-5666Historic theater offering first run movies. Two screens. (360) 378-3210Chamber concerts feature performers from the Northwest and many major musical centers in the United States and Canada. (360) 378-4310August 18 – 21, 2004: Arts & crafts, livestock & agricultural competitions & presentations, 4H, music, puppets, and carnival rides. (360) 378-4953Sport leagues, fitness programs & family & community social activities for children, teens adults & seniors. (360) 378-2372The Market is open from May to October, 10:00am-1:00pm. Toll Free: 866-819-1911Lavender harvest festival: July 10 – 11, 2004. Organically certified farm and store featuring lavender plants, lavender essential oils and handcrafted lavender-based products. (360) 378-3637Massage Therapy & Bodywork, La Stone Hot Rock Massage, Hot Oil Scalp Massage, Reflexology, Aesthetician Services. September 2 – June 6: Thursday-Sunday 8:30 a.m. to 4:30 p.m.
June 9 – September 1: Daily, 8:30 a.m. to 5:00 p.m.
www.nps.gov/sajh/Located six miles southeast of downtown Friday Harbor, American Camp has over 1,200 acres of grassland and beach with 9 miles of trails and spectacular marine vistas. South Beach, 4th of July Beach, Cattle Park and Jakle’s Lagoon are all a part of American Camp. A one mile, self-guided history foot trail begins in the American Camp parking lot. Ranger guided walks are also available. Facilities include picnic tables, fire pits, and restrooms. Eagle Cove Road, 6 miles southeast of Friday Harbor A nice sandy beach great for picnicking and beachcombing. Visitor Center: June 9 – September 2, Daily, 10:00 a.m. to 6:00 p.m.
http://www.nps.gov/sajh/English Camp is about nine miles northwest of downtown Friday Harbor. It contains 530 acres with 2 miles of shoreline and approximately 4 miles of trails. A self-guided history walk includes trails to the open Parade Ground, formal English garden, cemetery and up through the woods leading to breathtaking views of Canada at the top of Mt. Young. Picnic tables, restrooms, and a dinghy dock. Part of American Camp – A perfect spot for a picnic or kite flying. Many people enjoy wading in Griffin Bay on a summer day. Part of American Camp. Beautiful views of Mt. Rainier on a clear day. The trail is up 290′ Mt. Finlayson. (360) 378-1842San Juan County Park is a beautiful 12 acre park located at Smallpox Bay (between Friday Harbor and Roche Harbor). Beautiful views to the Straits of Juan de Fuca, Olympic Mountains and British Columbia. Park amenities include water, flush toilets, picnic tables, fire rings, 20 campsites, boat launch & mooring buoys. Part of American Camp – a great spot for a picnic. Visit the Coast Guard Radio Station. A popular sandy beach on the south side of the island. Off Pear Point Road Sandy beach popular for volleyball, picnics, wading and skimboarding. Also known as “Whale Watch Park”, Lime Kiln State Park is located 9 miles west of Friday Harbor. Orca whales, porpoises, seals, dolphins, and eagles frequent these shorelines during the spring and summer months. High rocky banks – no beach. Facilities include toilets, picnic sites, a lighthouse, and a viewing platform. Limestone Point Road This secluded park looks out at Saturna, Flattop, Waldron, Sucia, and Orcas Islands. Roadside parking – walk down steep trail. 380 Westside RoadCamping, picnicking, boating, scuba diving. 18 campsites. Located approximately 3 miles northwest of Friday Harbor this 66 acre lake has a public access boat launch. Launch kayaks/canoes only – carry from the parking area. fax: (360) 378-6444Moped and dune buggy rentals. Hourly and daily rates. (360) 378-6670Guided bicycle tours. Choose from 1/2 day, full day, and 1 or 2 night venues. Tours are limited to 6 people. fax: (360) 378-4706Mountain and road bike rentals available by the hour, day, multi-day or week. Reservations are strongly recommended during the summer months. 800-450-6858Whale watching & sea kayaking from Friday Harbor and Roche Harbor. Small groups with naturalist guides, state-of-the-art equipment. Rental of open or sit-on-top style kayaks available by the hour or the day. Friday Harbor, WA 98250 (360) 378-5296 Toll free: 888-858-5296Kayak tours, sales and rentals. (360) 378-6670Choose from a 1 to 2 hour scenic pace or up to 4 to 5 hour training paddles. Tours limited to 6 persons, with flexible scheduling. We are the home of the Mothership kayak whale watching and wildlife tours for the San Juan Islands. 877-SEAS-877Offers small guided nature-oriented tours ranging from introductory 3 hour tours to full day excursions and multi-day expeditions. fax: (360) 378-4147Day trips, multi-day or guided rental trips in small groups with a 6 to 8 guest maximum. 800-647-46211 to 5 day kayak tours with naturalist/guides in groups averaging 6 to 12 people. Picnic lunch included in day trips. fax: (360) 370-51913 and 4 day guided kayak expeditions. Kayak rentals by the day or week. fax: (360) 378-8767Half-day tours to Lime Kiln Whale Watch Park, camping trips from 2 to 5 days to the smaller islands, and custom trips. (360) 378-2110Fishing and/or whalewatching tours with underwater video camera. (360) 472-0296Charters and tours of the unique places that are part of life in the San Juans. (360) 378-7996Year-round whale watching and wildlife tours with 6 passengers max. Toll free: 877-560-571118 passenger vessel with a heated cabin offering whale watching tours. 800-80-WHALEDaily departures May thru Sept. All trips with experienced naturalist guides. 800-450-6858Whale watching by boat or sea kayak from Friday Harbor and Roche Harbor. Small groups with naturalist guides, state-of-the-art equipment. fax: (360) 378-4240Whale watching and wildlife cruises with no more than 30 passengers. Private boat charters for up to 35 guests. Golf and tennis. Open to the public. Pro Shop, restaurant & lounge. Visitor Center: (360) 378-2902American Camp offers a variety of trail experiences. – A 1.25 mile self-guided history foot trail, begins in the American Camp parking lot. – Jakle’s Lagoon Trail is 1.5 miles long. Great bird watching. – Mt. Finlayson Trail is a 3 mile loop taking you to the top of Mt. Finlayson. Beautiful views of Mt. Baker, Mt. Rainier, the Olympic Mountains, and British Columbia. – The South Beach walk is 2 miles long. Great tide pool observing during low tide. Visitor Center: June 9 to September 2: Daily, 10:00 a.m. to 6:00 p.m.
www.nps.gov/sajh– Bell Point Trail is a 2 mile loop with views of Westcott Bay. – Young Hill Trail is 1.25 miles of steep trail, taking you to the top of Young Hill for a panoramic view of the island’s northeast corner. The English Camp cemetery holds the remains of six Royal Marines. http://www.sjiaudubon.orgMonthly field trips with Audubon society members. (360) 378-2996Maps & descriptions of self-guided walks on San Juan Island. www.sanjuanislandtrails.orgList of hiking and biking trails on San Juan Island. www.sanjuantransit.comSan Juan Island hikes rated from easy to moderate/strenuous. (360) 378-2110All fishing gear & bait provided for salmon, halibut and bottom fishing in San Juan Islands. 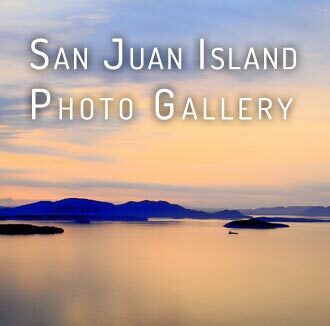 Located on the northeast end of San Juan Island. Largemouth bass and rainbow trout, with good rainbow fishing in April and May. (360) 378-2350Two private lakes stocked with rainbow trout and largemouth Bass. (360) 376-4855Fishing charters for up to 6 people and their pets. 66 acre lake located 3 miles northwest of Friday Harbor. seasons. Online fishing license purchase. (360) 378-2110Fishing and/or whale watching tours with underwater video camera. (360) 378-6670Six-passenger vessel, offering whale watching / wildlife tours. Toll Free 888- 875-177437′ Hunter Legend sailboat. fax: (360) 468-378663′ yacht with 3 private staterooms. Offers day cruises, or extended 10 day cruises. (360) 376-4855Fishing, sunset cruises and charters for up to 6 people and their pets. (360) 378-7197Offers sail, power, bareboat and crewed charter yachts as well as instruction, skippers, rentals and trip planning. (360) 378-2155 Moorage, gas, diesel, propane, showers, Laundromat, groceries, yacht charters , pool, restaurants, lodging, shops, gardens, float plane terminal. Kayak and whale watching tours, day cruise to Victoria. U.S. Customs Port of Entry. fax: (360) 378-4056Skippered boat charters through the San Juan Islands and Canadian Gulf Islands. fax: (360) 378-4963Private membership club. Available for weddings, anniversaries, etc. (360) 378-4119A volunteer community service organization. Sailing classes & races for ages 8 years through adult. fax: (360) 378-5199Boaters guide for San Juan County, Washington State. Maps, port information and a directory of services. (360) 378-1323Whale watching, wildlife & bird watching cruises from Friday Harbor and Roche Harbor. Naturalist guides, state-of-the-art equipment. 877-314-3532A 36 foot fantail launch built in 1920. Six passenger limit. Departs each evening for a sunset cruise. fax: (360) 378-8859Boat rentals, charters, launch ramp, gas dock. Whale & kayak tours. (360) 378-4588Towing, divers, fuel, jump start. Full service dive operation in the San Juan Islands. fax: (360) 378-8946Organic lavender farm with over 9,000 plants, on-site picking. Over 35 handmade products sold. September 2-June 6 Monday-Friday, 8:30 a.m. to 4:30 p.m.
June 9-September 1 Daily, 8:30 a.m. to 4:30 p.m.
(360) 378-6125A 70 acre farm with more than 40 alpacas. Country store offers extraordinary selection of alpaca sweaters, coats, and alpaca toys. (360) 370-5667Bowling, arcade, pool tables & pro shop. fax: (360) 378-26683 miles from Friday Harbor on Roche Harbor Road, San Juan Vineyards grows Madeline Angevine, Siegerebbe, and Pinot Noir varietals. Tasting room and gift shop in a historic 1895 one-room schoolhouse. located at the Fairgroundson Argyle Avenue in Friday HarborSkateboarding, in-line skating, trick bike facility. Playground equipment. Picnic shelter with tables and large grill. (360) 378-6372Local sheep farm produces wool yarn, bed comforters and washable sheepskin rugs. Summertime attractions include spinning demonstrations, lambs, piglets, and a flock of laying chickens. (360) 378-3880Tours of the orchard and cider house are available by appointment. They produce and bottle a vintage Hard Cider from 100% fresh-pressed heirloom apples. fax: (360) 378-6388A shellfish aquaculture farm producing gourmet oysters, clams and mussels. They offer occasional pick-your-own days, and on-site retail sales. Hours of operation are: Monday-Friday, 8:30-5:00; Saturday, 10:00-5:00; Sunday (May-Sept.), 11:00-5:00. Open year round, serving lunch and dinner with a extensive wine list. (360) 378-2168Hardware, insulation, doors, lumber, windows, tools, paint, plywood, mouldings, millwork, tile, cabinets, nursery & garden center. 800-234-5078Fine gold jewelry designs, hand signed by the artist. fax: (360) 378-4396San Juan Island souvenirs and other gifts. (360) 378-3531Screen printed art on clothes, cards, prints and original watercolors by local artist Viven Burnet. Original jewelry design by Deborah Johnsen and Possiko. (360) 378-6454Retail clothing for women. fax: (360) 378-6271Fishing/crabbing gear, outdoor games, tennis and golf accessories, team sports, and athletic apparel. fax: (360) 378-9613Candles, baskets, apparel & tapestries. fax: (360) 378-6140Local pharmacy, souvenirs, maps, nautical charts, sundries, film, and cosmetics. fax: (360) 378-4648A retail hardware, lawn, and garden store. (360) 378-6660A nautical gift shop/gallery featuring local and regional artwork and gifts. Friday Harbor Pet Supplies, Inc.
Friday Harbor, WA 98250Quality pet supplies. Funk & Junk/Islands Auction Co.
866-374-4272Antiques / Estate and collectible auctions. fax: (360) 378-6905Gallery of unique artifacts, including a large array of beads from all over the world. fax: (360) 378-6229San Juan Cellars Wines, next to the Friday Harbor ferry terminal. (360) 378-2617Gift shop featuring jewelry, glass, collectibles, candles, crystals, sculptures and more. fax: (360) 378-4147Unique children’s clothes and toys. fax: (360) 378-5523Electronic supplies and photo processing services. (360) 378-4443Fresh roasted, exotic Estate Grown coffees from around the world for retail, wholesale & mail order. fax: (360) 378-0997Fresh flowers, silk and dried flowers, and gift items. (360) 378-8889Offers a large selection of toys, games and stuffed animals. (360) 378-266517,000+ paperbacks and hard covers; open 7 days, year round. fax: (360) 378-8237Candy store specializing in fudge, taffy, bulk candies, gift baskets and chocolates. fax: (360) 378-6388Gourmet shellfish – gift packs shipped anywhere in the US. (360) 468-2872Carriage and Hay Rides. fax: (360) 370-5334Alpacas farm with country store featuring unique sweaters, coats, accessories and gifts. fax: (360) 378-8946Organic lavender farm with over 9,000 plants. Over 35 handmade products sold at giftshop. fax: 378-2668San Juan Island’s only commercial winery & vineyard located 3 miles north on Roche Harbor Rd.